The big news this year has been the start of the release of the pension applications online. 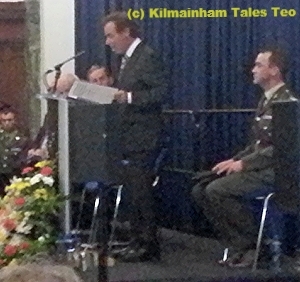 Kilmainham Tales attended the official launch in the General Post Office in Dublin on Thursday January 16th. 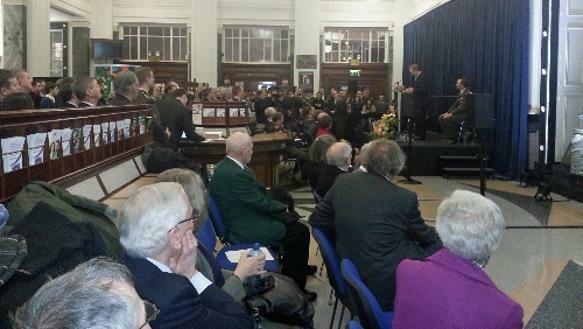 There was a large gathering of historians to hear Taoiseach Enda Kenna, Alan Shatter TD, Jimmy Deenahan TD etc. launch the only data. All present agreed that this was one of the most significant tranches of data to be published in many years. 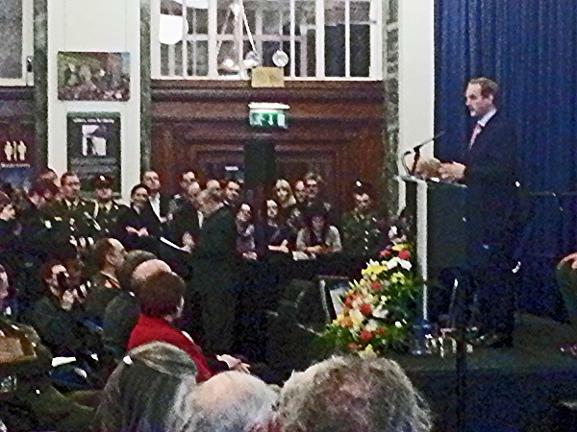 According to the Bureau of Military History: "Phase 1 of the Military Service (1916-1923) Pensions Collection (MSPC), the Military Archives’ latest online collection, was officially launched online through www.militaryarchives.ie from Thursday 16 January 2014 at 1930 hrs in the G.P.O. 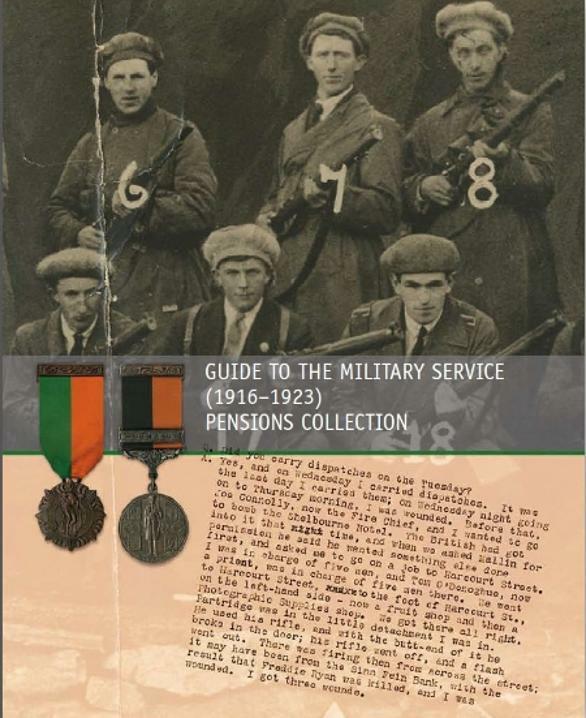 The MSPC contains material relating to the payment of service pensions to surviving veterans, and allowances and gratuities to wounded/disabled members and the dependents of veterans of the Irish Volunteers, the Irish Citizen Army, the Hibernian Rifles, Na Fianna Éireann, Cumann na mBan, Óglaigh na hÉireann/Irish Republican Army and the National Army who had been wounded or were casualties while on active service variously during the period from April and May 1916 to 30 September 1923. The collection also contains material relating to the payment of pensions and allowances to certain members of the Connaught Rangers under the Connaught Rangers (Pensions) Act, 1936. Phase 1 is the online only release of files relating to 3,200 individual pension applicants, including 2,400 recipients of pensions in respect of the 1916 Easter Rising. It also includes a large number of supporting files such as Membership rolls of the 16 Divisions of the IRA, Cumann na mBan and Na Fianna Éireann as on 11 July 1921 and 1 July 1922 and the Brigade Activities files relating to 1916 events in counties Wexford, Louth and Galway. A range of other administration and Departmental files are also released to give context to the collection. The work of the Military Service Pensions Project is ongoing and the collection will be released through the Military Archives in regular phases". This project is awe-inspiring in its breadth, its professionalism, and its presentation. 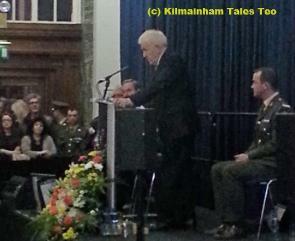 Congratulations are due to all involved but, most especially, to the hardworking members of the Military Archives who did all the groundwork on this, while continuing with their ordinary archival roles too.